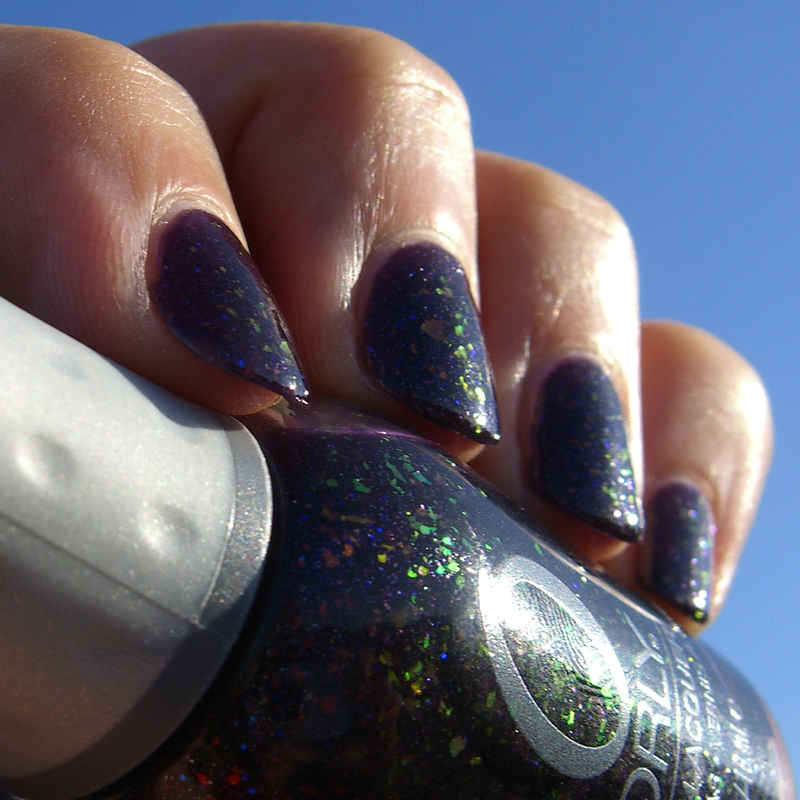 I got my bottle of Orly's Fowl Play last year, I was a bit late to the party as this polish was released as part of the Birds of a feather collection in autumn 2011, but better late than never, especially with a polish this cool. I think Fowl Play is one of those polishes that you'll never get bored of having on your nails, there's so much going on, the flakies and the glitter are just so cool, and I love that it come in a giant sized 18ml bottle so I can use it lots and will probably never run out. This was my first Orly polish and I'm impressed, I used two slightly thick coats and it was lovely to apply with a nice formula, I have a few other Orly's and now I'm looking forward to getting them out to see if they're as nice as Fowl Play.